ICANN’s 44th meeting was held on June 23-28, 2012 in Prague, Czech Republic. This was another multi-stakeholder international gather for ICANN, attracting a number of international organizations, governments, civil society groups and businesses. 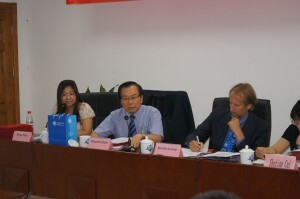 During the meeting, a series of high-profile sessions on Internet governance, New gTLDs Program, Trademark measures, etc. were held. 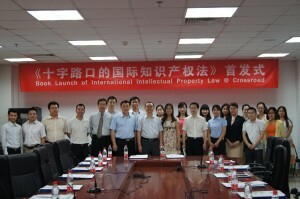 Lei Liu, the doctoral candidate of IIPL，participated the meeting as a fellow selected by ICANN Fellowship Program. One of interesting decision announced by ICANN is the appointment of Trademark Clearinghouse providers, namely IBM and Deloitte respectively responsible for database technical management and data management. Both are new gTLD applicants and both based in Belgium. The whole selection process was completely black-boxed and staff-driven. Many community-based bidders were ignored. Another issue interesting is ICANN’s handing with so-called “Academy Training Proposal.” Despite the declaration from the staff that they had been following the discussion and drafting of this proposal in at-large community for more than one year, they were not aware of draft curriculum and setting arrangement that had been online for quite a long time. It seems that a new and separate pilot program would be run by ICANN in Toronto, although the leading staff would be willing to listen to the community inputs still. During the meeting, Lei Liu took part in many sessions and discussions with the other 21 fellows from 17 countries around the world. As newcomers, the fellows showed extremely high enthusiasm in ICANN’s business. It is believed that today’s newcomers will play a more important role in the future.